This house is not available at this time. This house is perfect for renters wanting amenities! This two bedroom, one and a half bathroom house boasts 1500 square feet of space with hardwood floors and a fully equipped kitchen. And that’s not all! 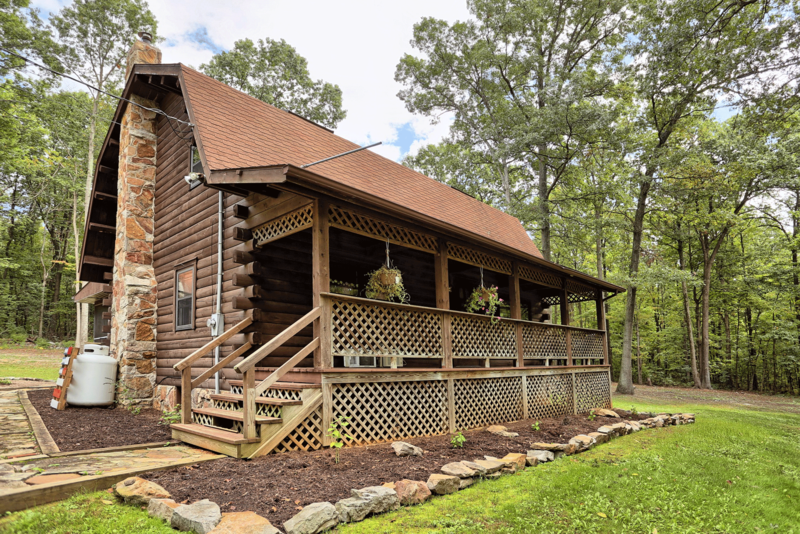 1471 Barns Lane also features a propane fireplace, washer/dryer hookups, and a basement with a finished room. Outside, you’ll find a remarkable 2-story 3 car garage, a screened in back porch, and a large covered front porch. Sorry, we don’t allow cats or dogs at this house. 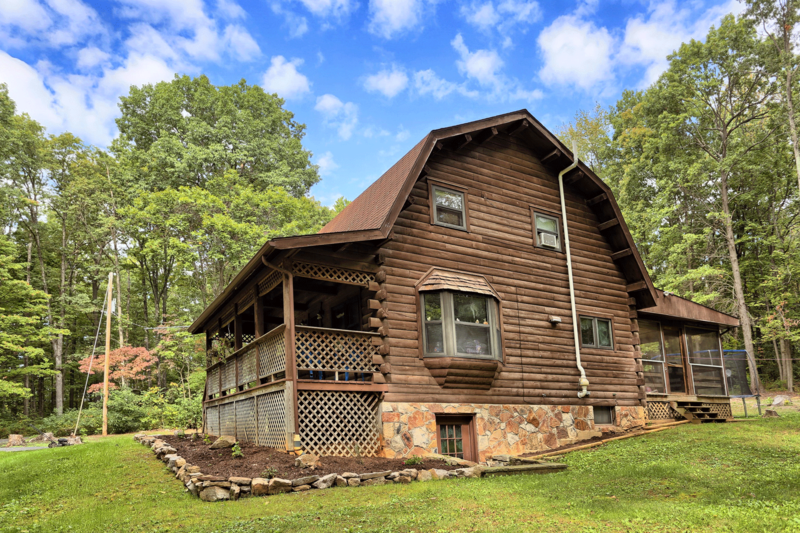 This charming house resembles a log cabin and is nestled in a wooded setting surrounded by mature trees. Located in a country-like setting, this house is still close to Penn State University and other popular destinations in State College. Renters will enjoy having some privacy while being close to shopping, dining, and entertainment.Local attractions include the Arboretum at Penn State, Tussey Mountain Resort, Penn-Roosevelt State Park, and Penn’s Cave. 1471 Barns Lane is managed and maintained by Property Management, Inc. Property Management, Inc. professionally manages houses and apartments for rent in State College and throughout central Pennsylvania. PMI provides each rental home and apartments with 24 hour emergency maintenance. 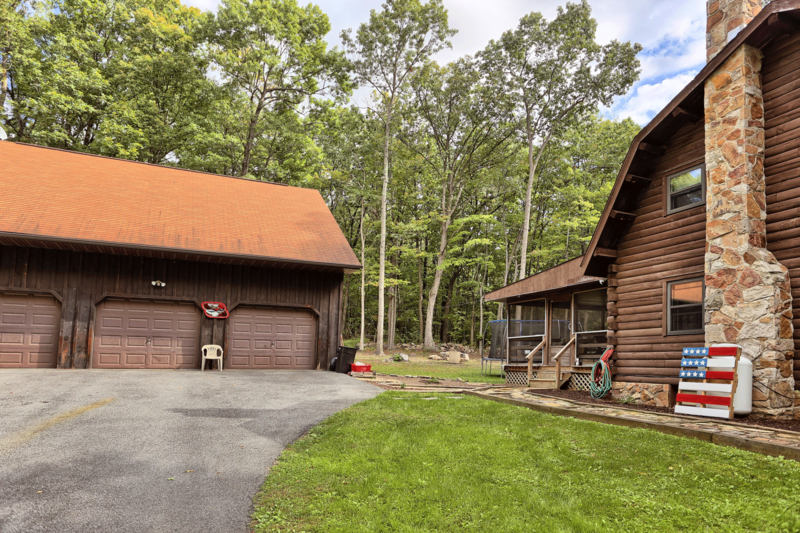 If you are interested in more information about renting 1725 Barns Lane, please call 814-278-7700 or email [email protected]. You can also visit PMI’s State College office located at 317 E Beaver Ave State College, PA 16801 and we would be happy to help you find the right house or apartment rental to suit your needs. View more pictures of 1471 Barns Lane on the Barns Lane Photo Page.